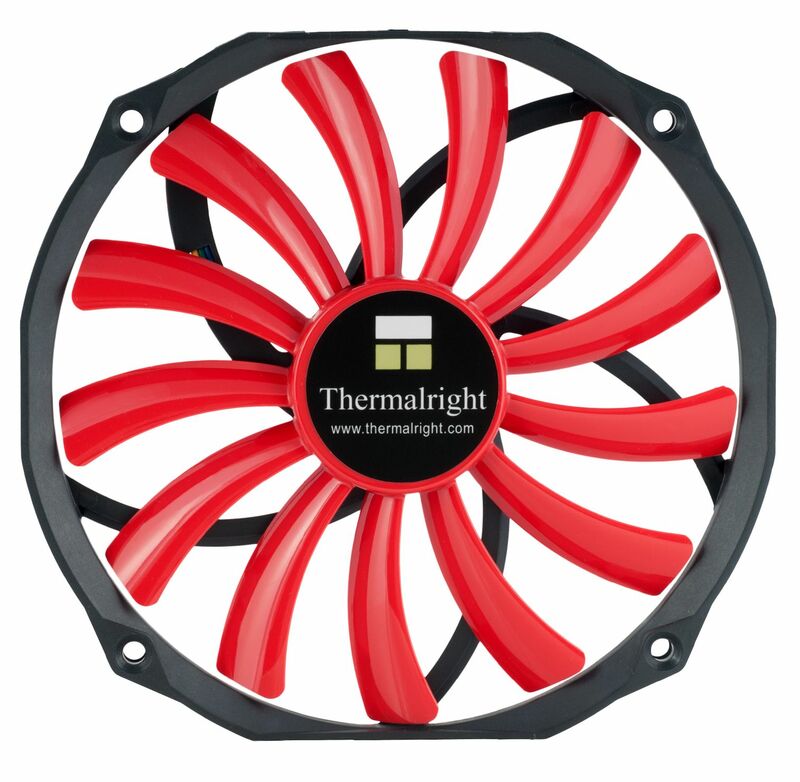 The Thermalright TY-14013R 140mm fan uses 120mm fan mounts and is only 13mm thick, ideal for when space is at a premium. 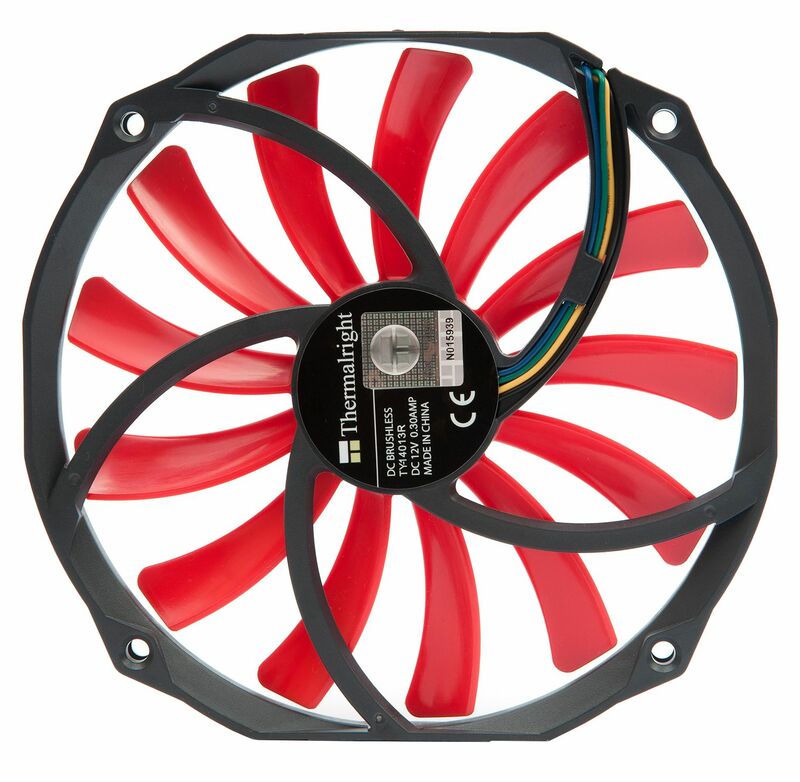 The fan design of the TY14013R corresponds to the desire of users to realise the greatest possible airflow at the lowest possible noise. Naturally fans with a larger diameter will produce higher air-flow at the same speed and/or the same noise level than smaller fans. 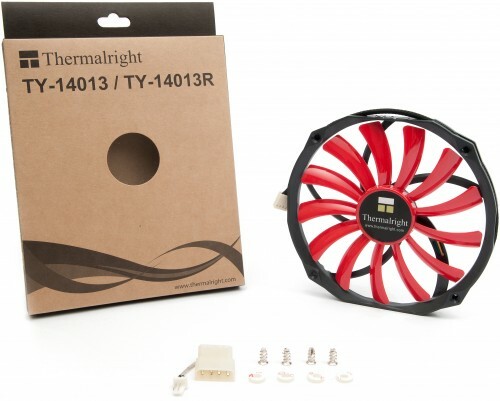 Despite its particularly flat design the TY 14013R offers an airflow of more than 65 CFM. 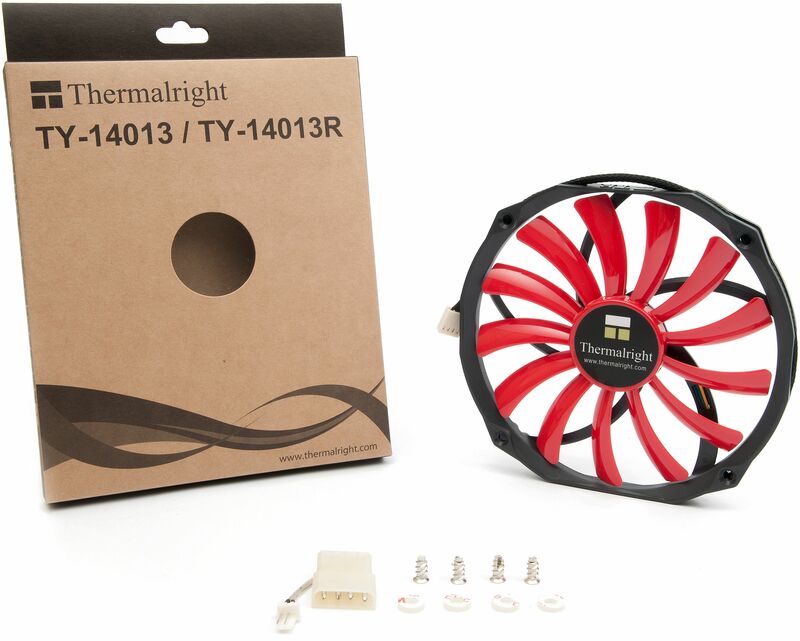 The Thermalright TY 14013R has the dimensions 140 x 152 x 13 mm; the mounting points are identical to those of conventional 120mm fan. Due to its sophisticated design, the inner diameter of the fan is even slightly greater than that of a conventional 140mm fan. The TY 14013R is the ideal case fan for compact HTPC cases. Please check sufficient space is available around the fan. The speed range of the temperature-controlled PWM-fan is 700 - 1300 RPM which provides flow rate between 35.3 and 65.3 CFM. For very quiet operation the model uses seven blades in a special "torpedo" design and thanks to the optimised wings and streamlined frame design, the fan is effective and at the same time produces extremely quiet wind noise. In order to guarantee a long-term low-noise operation, Thermalright makes use of a low-wear "Enhanced Hyper-Flow" bearing. The monitoring and control of the fan speed is done via the motherboard's PWM function.